Square Enix® released an update for the free-to-play mobile game FINAL FANTASY BRAVE EXVIUS®, featuring an epic, limited-time crossover event featuring characters from BRAVE FRONTIER and a new Player vs. Player (PvP) gameplay mode. Additionally, a special login bonus campaign will be available to all players in celebration of the game’s 8-million downloads milestone reached earlier this month. 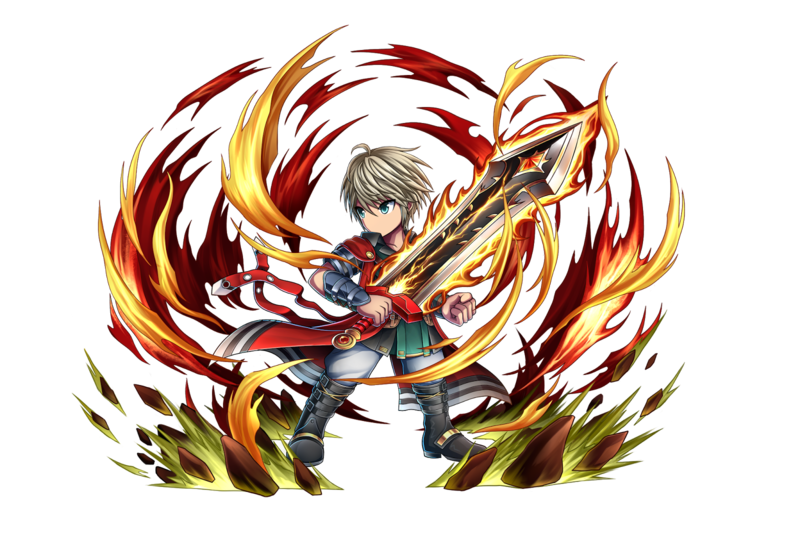 From November 11 through November 24, the worlds of BRAVE FRONTIER and FINAL FANTASY BRAVE EXVIUS collide during a special collaboration event. 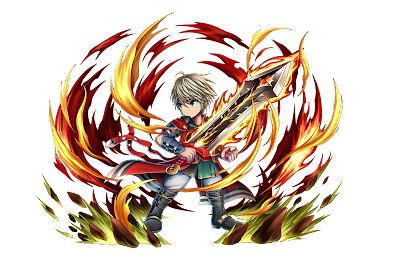 BRAVE EXVIUS players can venture into the Grand Gaia Chronicles through the Vortex, unlocking various reward tiers in BRAVE FRONTIER, while clearing the Overwhelming Darkness stage in BRAVE FRONTIER will unlock reward tiers for BRAVE EXVIUS players. If all reward tiers are unlocked for both games, all players will receive a bonus Unison Reward. Characters from BRAVE FRONTIER will also make an appearance in FINAL FANTASY BRAVE EXVIUS, including Tilith, Karl, Seria, and the worldwide version exclusive Elza. Each hero has been uniquely transformed into a pixel art version of their character, and will be available through Feature Summon for the duration of the event. PvP Mode also makes its debut with this recent update—players face off against teams formed by other players in the Arena, battling head to head for the chance at in-game rewards. Players will accumulate points by winning Arena matches, and then ranked among other players based on total points. At the end of each weekly and monthly ranking period, players will receive rewards based on their overall rank, including Arena Summons Tickets and character stat-boosting items. Having surpassed 8 million global downloads since the game’s release, FINAL FANTASY BRAVE EXVIUS is commemorating this special milestone with a bonus login campaign. Players who login between Nov. 1 and Nov. 30 can obtain additional daily login rewards. This title is developed as a collaboration between SQUARE ENIX® and gumi Inc. (developer of the hit title BRAVE FRONTIER). The game will launch in six languages: English, German, French, Spanish, Chinese (traditional), and Korean. The free-to-download "FINAL FANTASY Portal App" provides the latest and greatest on all things FINAL FANTASY, as well as exclusive promotional trailers and developer commentary. By logging-in with their Square Enix account, players can accumulate points that can be exchanged for various items. Also, the iconic Triple Triad card game from FINAL FANTASY VIII makes its mobile debut, and is playable in the app. Square Enix, Inc. develops, publishes, distributes and licenses SQUARE ENIX®, EIDOS® and TAITO® branded entertainment content throughout the Americas as part of the Square Enix group of companies. Square Enix, Inc. is affiliated with a global network of leading development studios such as IO Interactive™, Crystal Dynamics®, and Eidos Montréal. The Square Enix group of companies boasts a valuable portfolio of intellectual property including: FINAL FANTASY®, which has sold over 115 million units worldwide; DRAGON QUEST®, which has sold over 68 million units worldwide; TOMB RAIDER®, which has sold over 46 million units worldwide; and the legendary SPACE INVADERS®. Square Enix, Inc. is a U.S.-based, wholly-owned subsidiary of Square Enix Holdings Co., Ltd. FINAL FANTASY: BRAVE EXVIUS ©2016 SQUARE ENIX CO., LTD. All Rights Reserved. Developed by gumi Inc.
DRAGON QUEST, EIDOS, FINAL FANTASY, BRAVE EXVIUS, the FINAL FANTASY: BRAVE EXVIUS logo, FINAL FANTASY PORTAL APP, SQUARE ENIX, the SQUARE ENIX logo, SPACE INVADERS, TAITO and TOMB RAIDER are registered trademarks or trademarks of the Square Enix group of companies. All other trademarks are properties of their respective owners.